I love card making, I haven't bought xmas cards for years, handmade ones are always so well received and I get to have a little fun with the creative process to boot! I'm always collecting bits & bobs to make mine so these ones pictured are a mix of items I've purchased over the last few years. some of the festive cartoon characters I've used on mine were from a paperchase card making kit that I picked up last year, paperchase is a great shop for cute little 3D foam stickers that I often use on birthday cards as well. 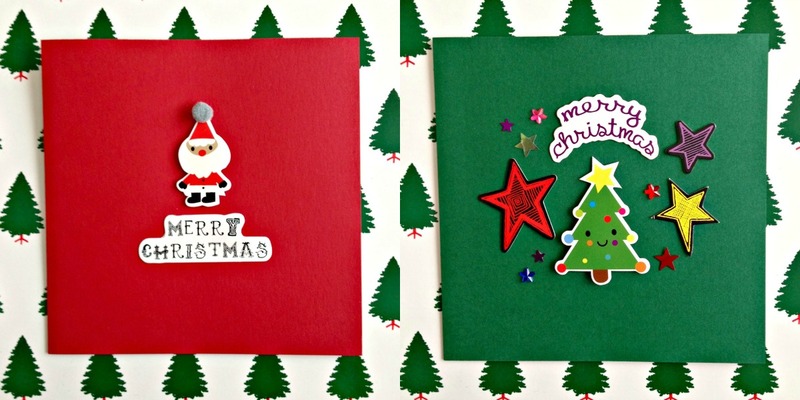 have you ever made your own christmas cards? are any of you tempted? I reckon that Christmas is the one time that Michael Buble really finds his own! This December has taught me that I can't stand him UNLESS he's singing a song about santa, reindeer, or snow. Or all three.